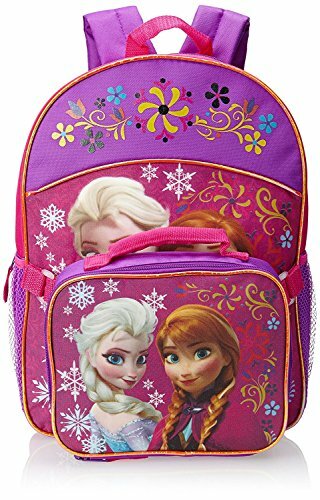 This Frozen backpack with insulated lunch bag is made for kids. The full size backpack is 100 percent polyester and zipper closures keep items secure. Adjustable padded straps for girls comfort. Disney logo zipper pulls are durable metal material. Kids store and carry the insulated lunchbox in the clear window pocket. Includes locker loop for storage. A Disney school product from the movie, dolls, games and toys. Ages 3 years and up. About Fast Forward Fast Forward is the industry leading manufacturer of backpacks, lunch kits, beverage bottles, handbags, luggage, accessories, small leather goods and stationary. 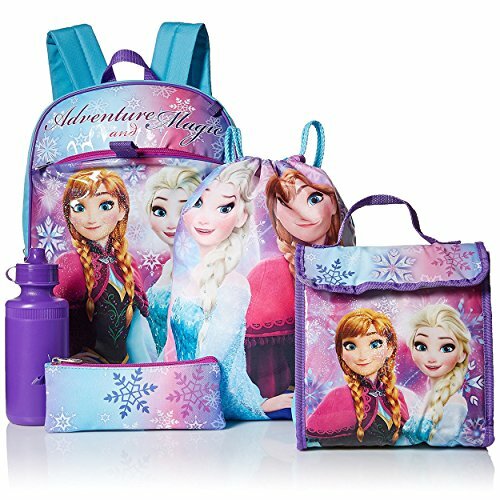 We feature character licensed, national brands and private label lines. Our exclusive, innovative graphic treatments and use of patented technologies & fabrications, combined with our 40+ years' experience in design, sourcing and production makes us the one stop source for price and value. About the Product You can finally stop going to all of those department stores and looking for a reasonably priced school bag for your little one. 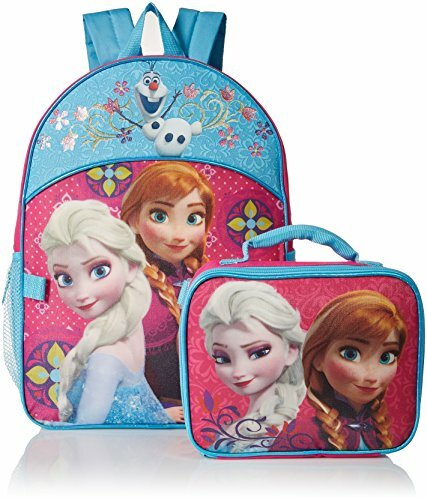 The solution for your back to school problems is here with the Disney's Frozen Backpack and Lunch Bag Set from Fast Forward. This deal is too good to pass up! 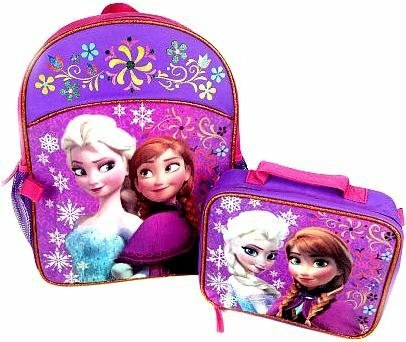 You get a backpack and lunch set together. Best of all, the lunch bag attaches to the backpack quickly and easily. That means that your child will have no problem doing it on their own. And it'll put an end to lost and forgotten lunches! The shoulder straps are padded and adjustable for customized comfort designed with your child's spinal health in mind. 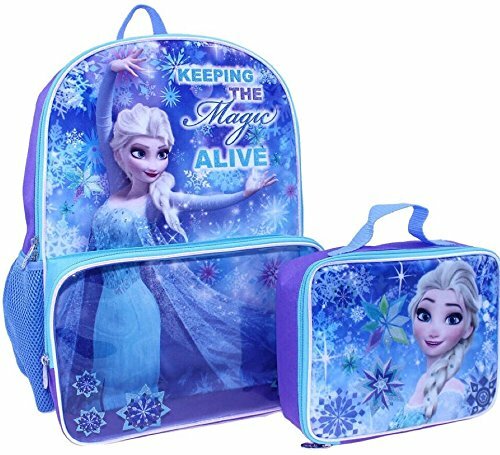 Plus, no one will inspire learning and loving like the dynamic duo of Frozen - Anna and Elsa! 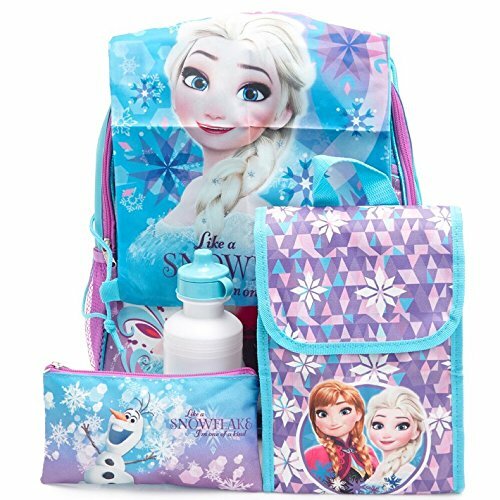 This beautiful Disney Frozen Lunch Bag come with water bottle that can be daily use for school or outdoor. Inside Dimension without Water Bottle: 9"L x 8"H x 3"W Inside Dimension with Water Bottle: 5.5"L x 8"H x 3"W WARNING! : CHOKING HAZARD-Small Parts. Not for children under 3 years. CAUTION: Entanglement hazard. Keep away from very young children. Do not place around neck. 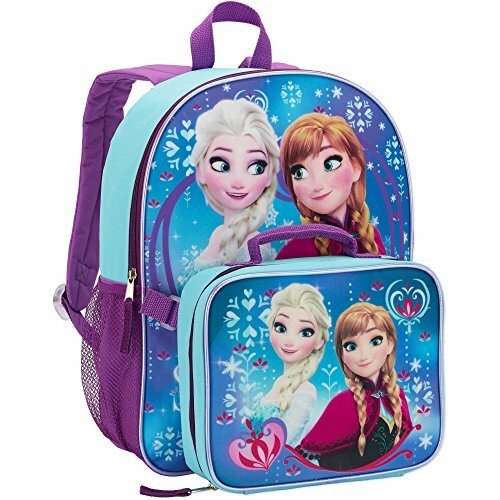 Disney's Frozen backpack includes all in one school accessories. Carry notebooks, binders and folders to school or home. Elsa, Anna and Olaf Disney characters sparkle screen print. 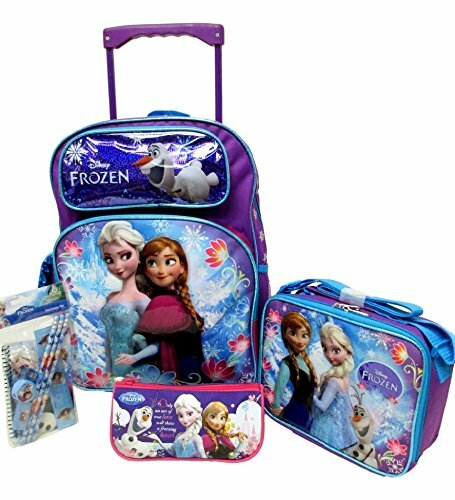 A complete backpack set from the Disney movie, toys and dolls. A great gift for girls ages 3 years and up. 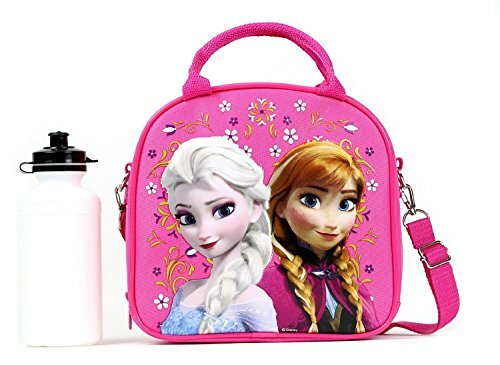 Compare prices on Frozen Backpack And Lunch Box at ShoppinGent.com – use promo codes and coupons for best offers and deals. Start smart buying with ShoppinGent.com right now and choose your golden price on every purchase.